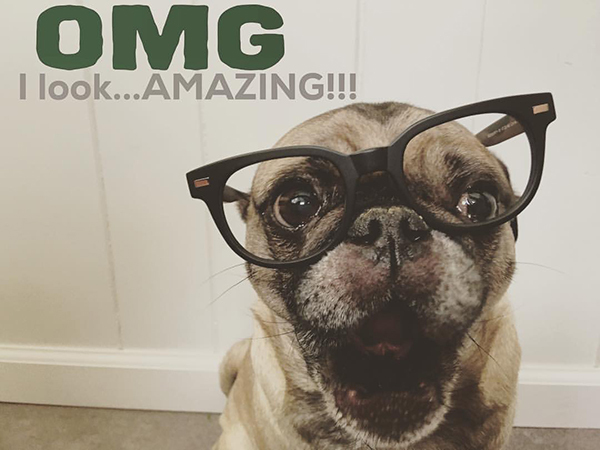 Have you ever tried Warby Parker? It's a cool eye glass service where you choose styles online and they send them to your home to try on. After you decide which you like best, you send the samples back and then send them your prescription for the pair you want. 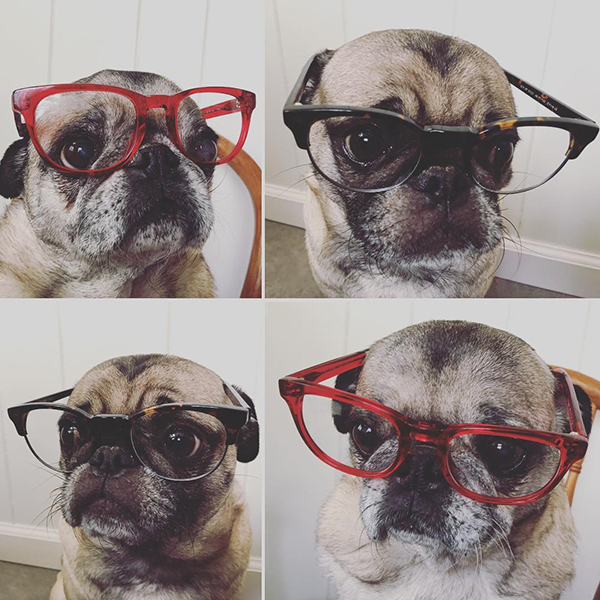 Warby Parker encourages you to post pictures of yourself with the different styles and tagging them with #warbyhometryon so others can help you decide. 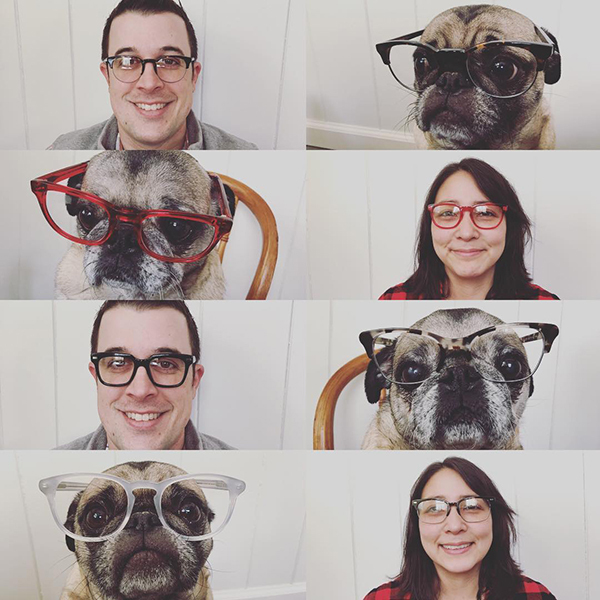 When we sat down to take our pictures, the pugs decided they wanted to see how they looked in glasses. Let's be honest. They look good in any style. Well okay, they looked more amazing in some than others.